Automation in the sales department streamlines essential processes, like nurturing relationships with prospects and opportunities. This frees up time for your salespeople without sacrificing that personal, human connection your audience deserves, For HubSpotters, this is where sequences come in handy. What Is a Sales Sequence? A sales sequence is a series of emails that can be sent to targeted groups of prospects for standard follow-up or nurturing, respectively. We suggest creating sequences of up to five touch points, whether that be emails, phone calls, LinkedIn messages, etc. Your sales team is a hardworking group of people who dedicate their day to contacting prospect after prospect. And, if your marketing team is doing their due diligence and bringing in qualified leads, your salespeople have a lot of work ahead of them. 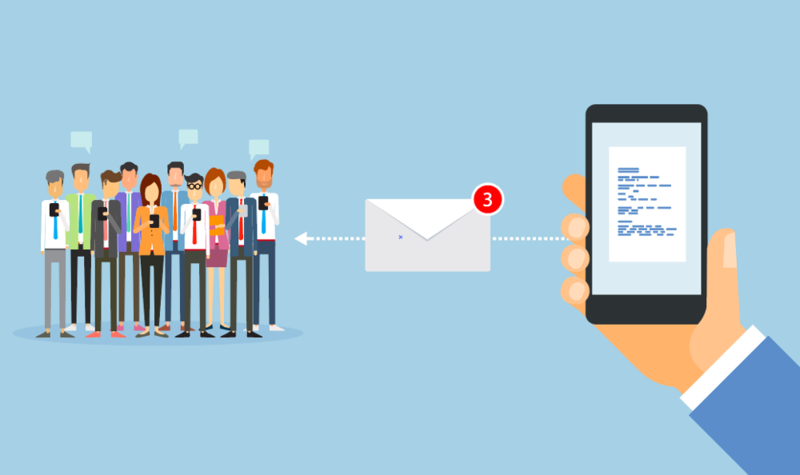 To assist them in their prospecting efforts, sequences use a combination of personalized, scheduled emails and follow-up reminders to help keep track of communication with prospects. Compared to a marketing workflow, sales sequences tend to be more contextual and targeted toward and individual's needs and challenges. And, unlike a workflow, you can’t automatically enroll contacts in a sequence – and you really don’t want to. Why Should You Enroll Contacts Into Sequences? You can then take a templated email and personalize it for each contact. This ensures that the right people are receiving the right information at the right time. Since we work exclusively within the HubSpot platform, we figured it would be easiest to explain the two different ways to manually enroll your contacts into a HubSpot sales sequence. Note: Sequence queues are only available for Sales Hub Professional and Enterprise users. 1. Select the Contacts You Want to Enroll Within the Sequences Tab. 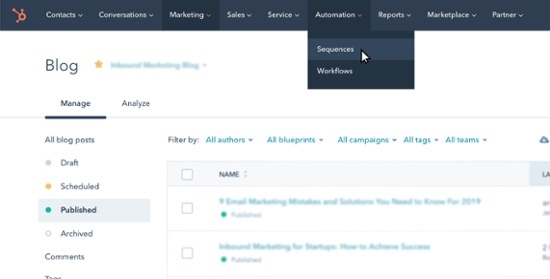 Once you're in your HubSpot portal, hover over the "Automation" tab in your navigation bar and click "Sequences." When you click on the sequence you want to enroll contacts in, you'll be directed to the sequence summary page. In the upper right-hand corner of this summary page, click "Enroll," then "Enroll Multiple Contacts." From here, select the checkbox next to the contacts you wish to enroll in the sequence. After you've selected the list of contacts, click "Next." 2. Add Personalization and Double Check Your Send Settings. When setting up email sequences, it's important to customize your message to each contact you're delivering a message to. That way, it feels more personal and not so automated. To do this, click the body of the email template to edit the copy of your email. Include personalization tokens to include your contacts' name, company, and more. 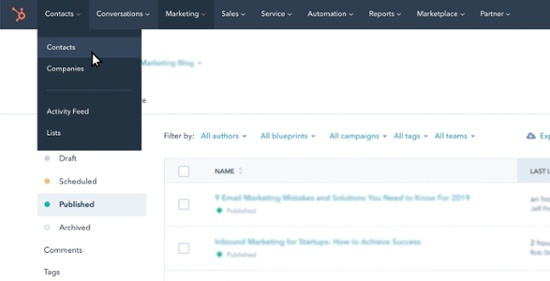 If you have multiple inboxes connected to your HubSpot account, click the "From" dropdown menu in the upper left-hand corner to select the email address you want to send your emails from. Remember: You should always send emails from a trusted source, not a "noreply" or generic email. From here, click "Start at" to choose which email you want to send first in the sequence, and then select your preference of "Follow Up Options." Continue these steps with the rest of the contacts you wish to enroll in the sales sequence. If you've added a contact to your queue and then decide you aren't quite ready to enroll them, don't panic. Your hard work won't be ruined – just click "Skip this contact" to remove them from the queue. After you've added your contacts, take a step back and review that you've set up the right steps for your sequence – always double check this! If everything looks good to go, you can close the queue. 1. Select the Contacts You Want to Enroll Via the Contacts Tab. In your HubSpot portal, hover over the "Contacts" tab in your navigation bar and click the dropdown option "Contacts." From here, select the contacts you wish to enroll in a sales sequence. Click the "More" tab and select "Enroll in sequence," then choose the sequence you would like to work with. 2-3. Follow the Same Steps as Method 1. Luckily, steps two and three of enrolling contacts with this method follows the same steps two and three as method one. So, once you select your contacts and click "Enroll in sequence," you can personalize your emails, establish the sender, and choose the first message in the sequence. Once you've completed your settings and click "Enroll Contact," repeat this process until all your contacts are added. Be sure to double check your work and make sure all the contacts you want are enrolled and you don't have any unwanted contacts in your sequence. Make your sales process quicker and more efficient with sales sequences. 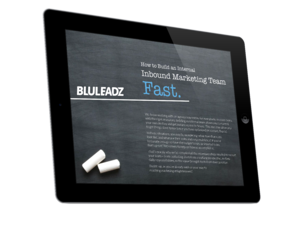 They're easy to set up, and once you do, HubSpot will keep you on track with reminders and you'll be contacting more prospects every day. So, what are you waiting for?